Lately, I have been a permanent fixture at my local plant nursery. It might have dethroned the bookstore as my Wednesday morning mind-wandering session. I realized that after I lost track of nearly two hours while in there for two weeks in a row. As my home gives refuge to a new pot of trailing ivy or an explosion of unusual fern every week, the visits have to stop or I might run the risk of growing an indoor forest. 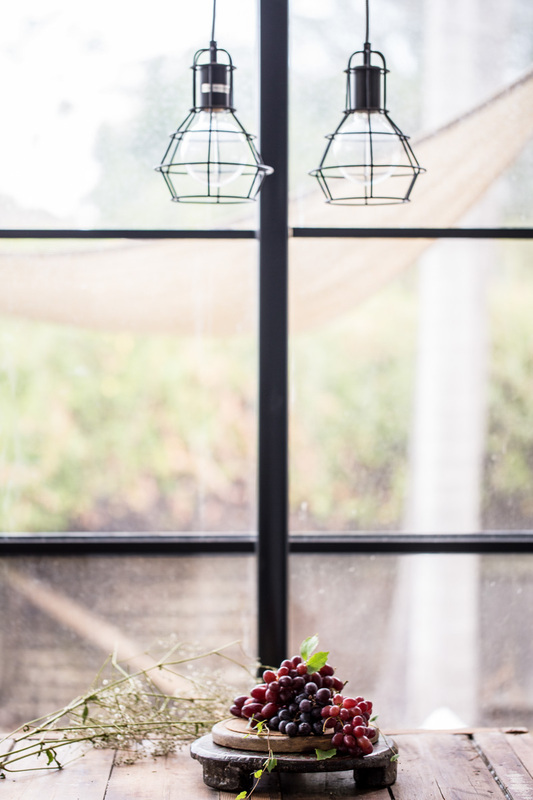 There is nothing wrong with that, but my plant-watering and caring time both indoors and outdoors now borders at an hour on any given day. On my last visit to the nursery, I picked up a pretty looking ivy with wiry tentacles hugging nearby plants dearly, the small to tiny sized leaves in all shades of autumn. 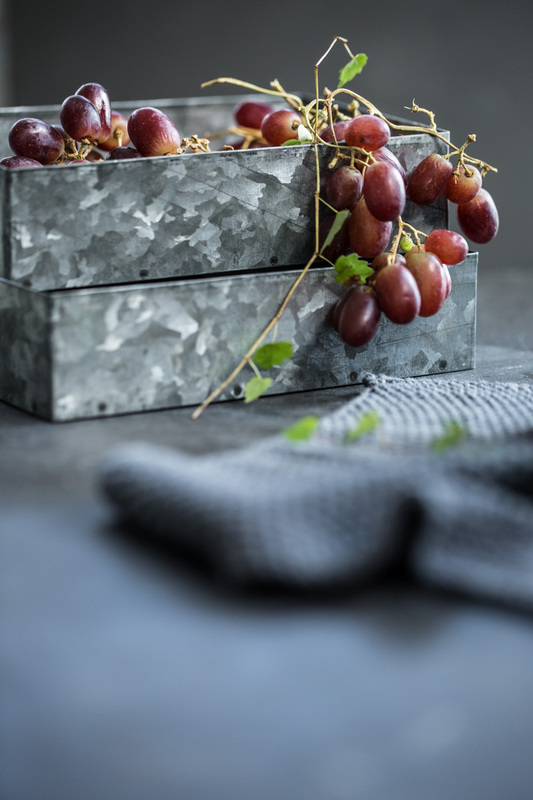 When I queried about what it was, I was surprised to be told that it was an ornamental grapevine with smaller than usual deciduous leaves and grapes that would be the size of tiny currants. Pretty but inedible. Of course, I brought it home with me. Right now it lives on my small kitchen table while I decide where to let it take root as it will be a vigorous and all-encompassing climber. I often leave a bowl or two of grapes fresh from the markets, to keep it company. The grapes have been amazing this season. The small to medium red Crimson seedless variety is one of my favourite, as is the black Sable. Both of these are firm grape varieties with a delicious crunch. The black Sable has a higher sugar content than most grapes. It also has a delightful fruity aroma. Because of these reasons, when I decided to try my hand at grape pickling, these two were the ideal choice. Over the past few months, as we have settled more firmly in our new space and kitchen, Friday night cheeseboards have become a thing. Maybe it is something you develop an affinity for when you are approaching 40, but the art of sourcing and styling for a cheeseboard is a sport I am truly enjoying. 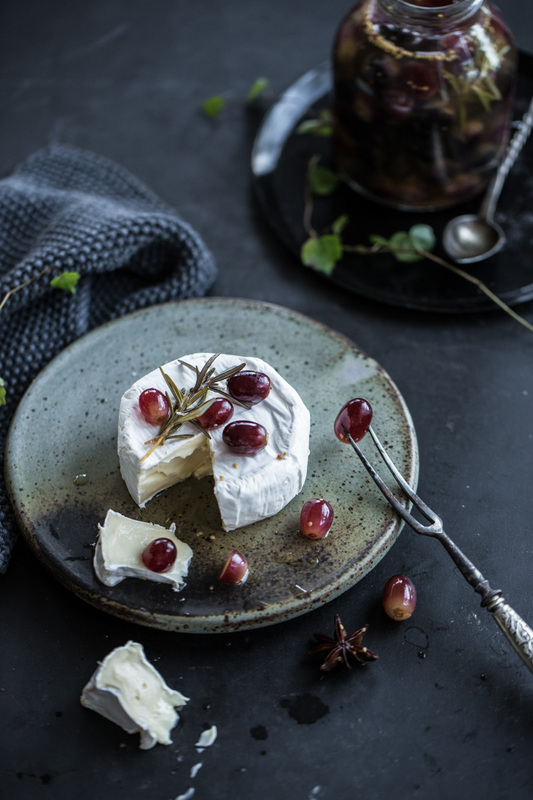 To that effect, I am always experimenting with pickling, curing and baking to present something to accompany the growing list of our favourite cheeses. 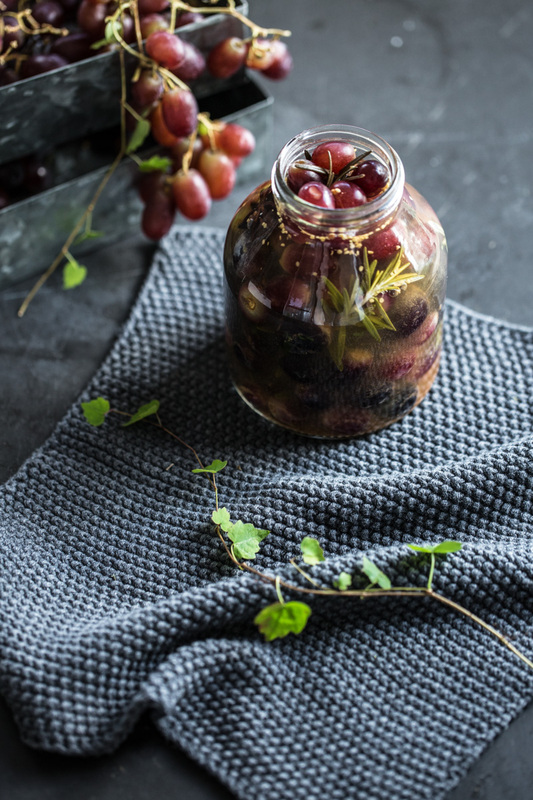 This grape pickle is a breeze to make and develops a wonderful pucker-your-mouth flavor in about three to four days. It keeps well in the fridge for almost a fortnight. Serve it with a soft, creamy cheese like Camembert, Brie or Boursault. 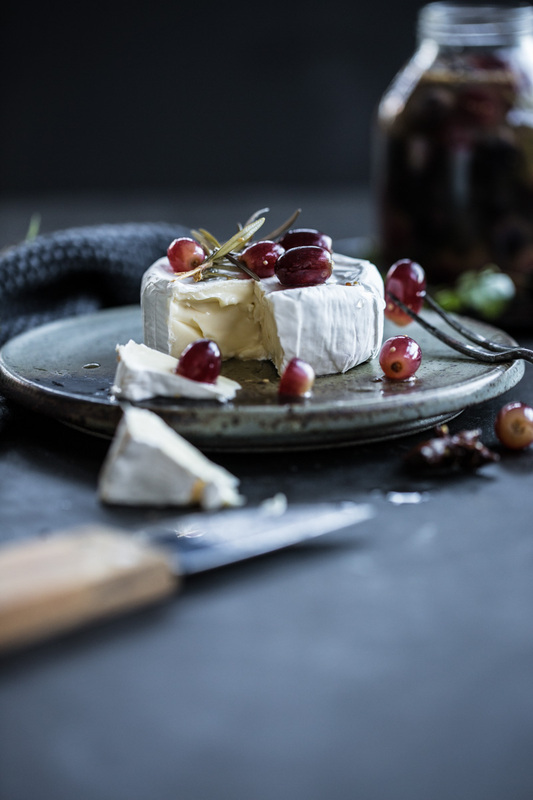 It cuts through the sweet, mild flavour of the cheese with the sharp tang of mustard and cider offset by the subtle sweetness of anise and savouriness of the rosemary. 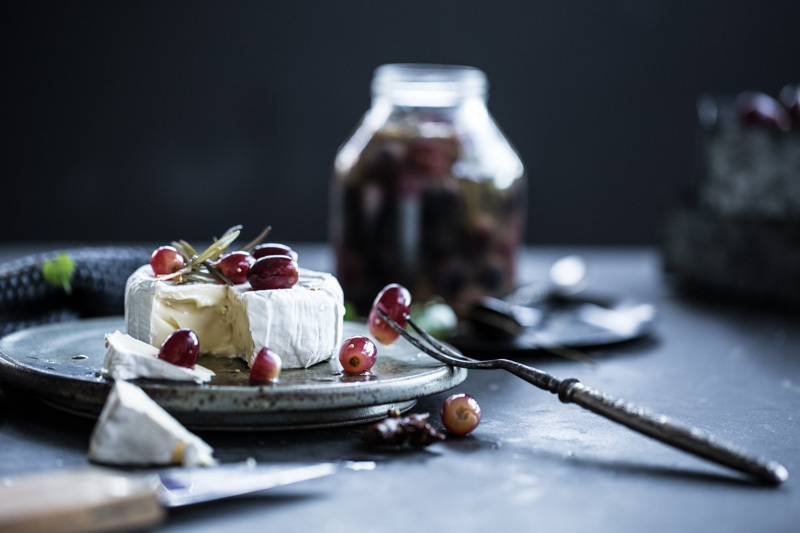 A punchy, mouth puckering sweet and sour pickle with the crunch of sweet seasonal grapes makes an ideal cheese platter companion. Perfect as a unique gourmet gift too! Place apple cider vinegar, water, sugar and salt in a small saucepan. Bring to a boil. Add mustard seeds and remove from heat. Cool slightly. 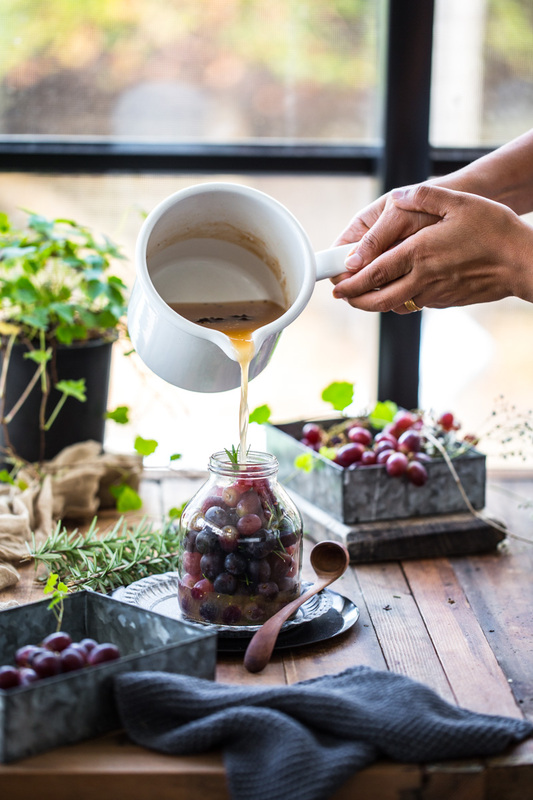 Place grapes, rosemary and star anise in a 500ml medium to wide mouth jar. 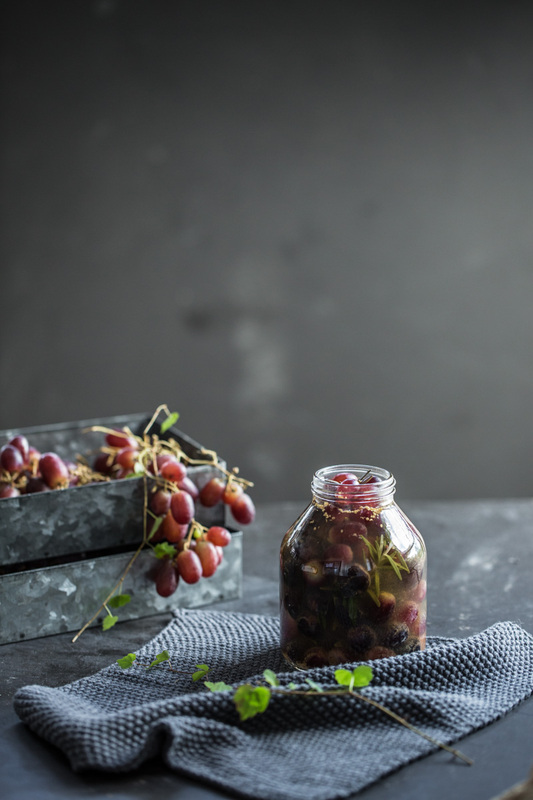 Pour the warm vinegar elixir over the grapes to cover them completely reaching just below the rim of the jar. Allow to cool completely. Seal with a tight lid and place in a cool part of your pantry for up to 4 days. 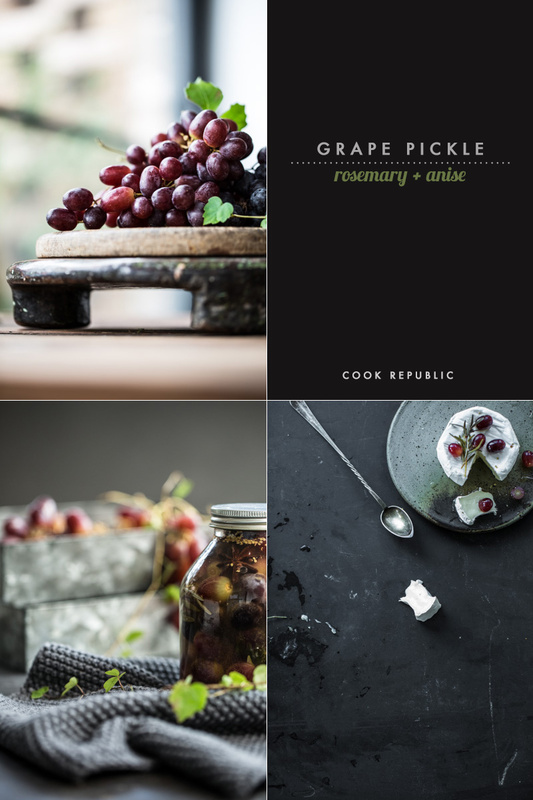 The grape pickle is now ready to be enjoyed. It will last in your fridge for up to a week. Serve with soft creamy cheese. Note – Sponsored Post For Aussie Grapes. 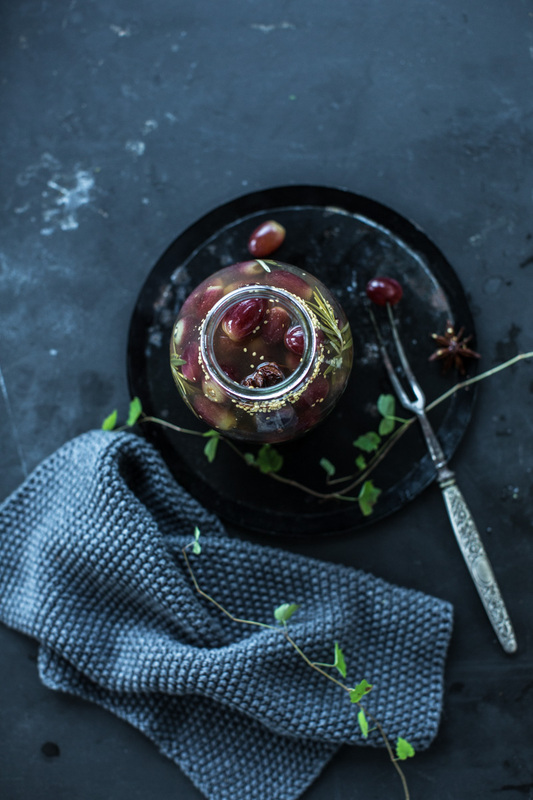 Sneh, the styling and the photos for this grape pickle are gorgeous! I will have to try this out with some of the California varieties, that anise flavor with this combination has me very intrigued and excited to taste it. A lovely pickle. Perfect with cheese. Your stying always inspires me and Iove this recipe! 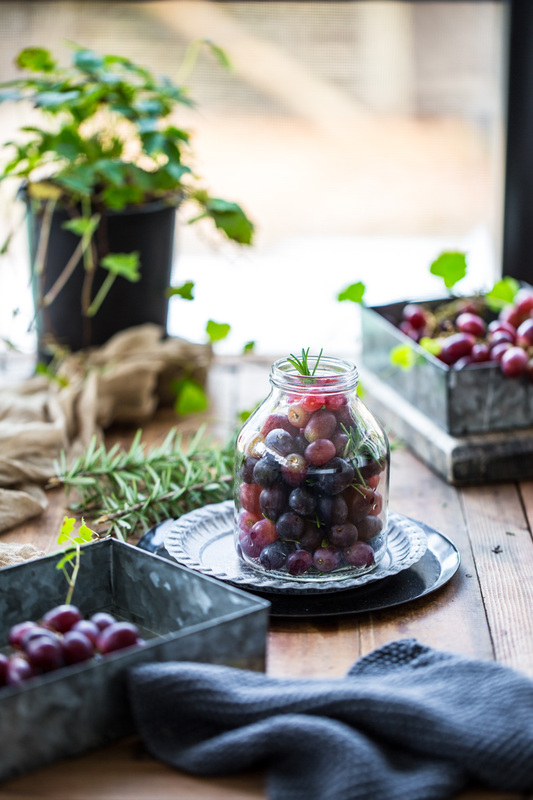 I would have never thought to try pickling grapes! So lovely, Sneh. Your photos are stunning (as always). That first pic is captivating. 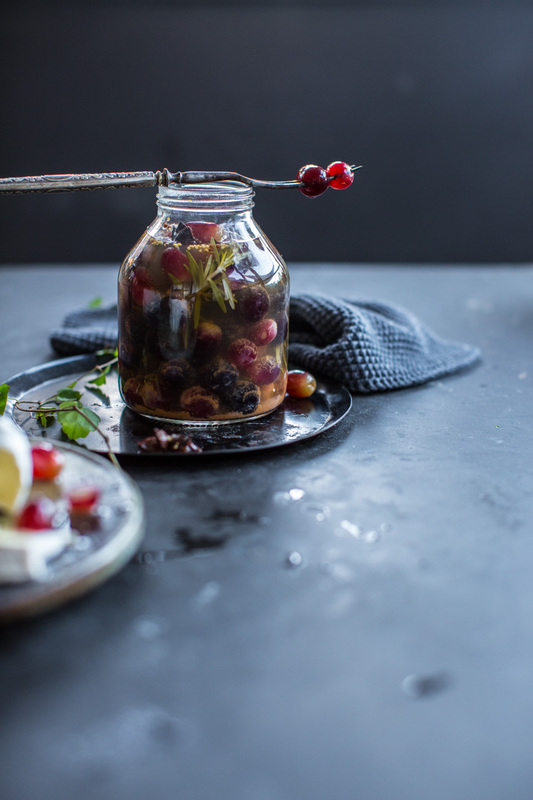 This recipe reminds me of Mom’s sour cherry pickle. Must try this grape one! Wonderful! That pickle sounds delicious and amazing. Have never pickled grapes but this sounds like a must try. And love your gorgeous images as always!